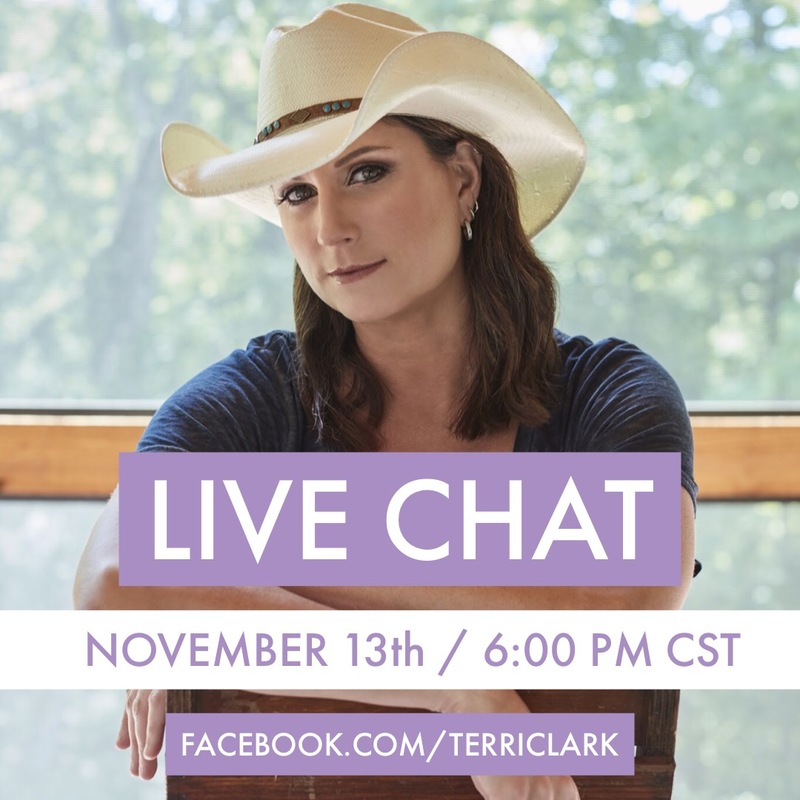 Join Terri Clark for a facebook LIVE CHAT next Tuesday (11.13) at 6pm CST. She’ll answer fan questions, talk about upcoming news and events and more. Stay tuned to facebook.com/terriclark for details.